"Sassi" redirects here. 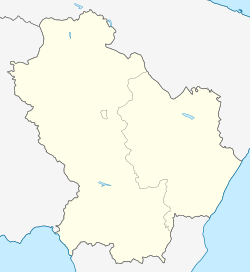 For the village in Estonia, see Sassi, Estonia. 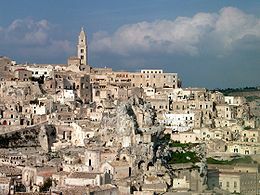 The Sassi di Matera are two districts (Sasso Caveoso and Sasso Barisano) of the Italian city of Matera, Basilicata, well-known for their ancient cave dwellings inhabited since the Paleolithic period. The "Sassi" have been described by Fodor's as "one of the most unique landscapes in Europe". Along with the park of the Rupestrian Churches, it was awarded World Heritage Site status by UNESCO since 1993. The Sassi are houses dug into the calcarenitic rock itself, which is characteristic of Basilicata and Apulia, locally called "tufo" although it is not volcanic tuff or tufa. The streets in some parts of the Sassi often run on top of other houses. The ancient town grew up on one slope of the ravine created by a river that is now a small stream. The ravine is known locally as "la Gravina". 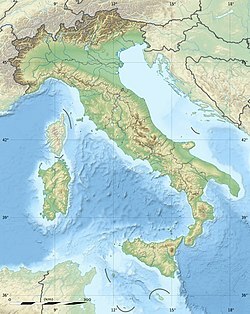 The term sasso derives from Latin saxum, meaning a hill, rock or great stone. Until the late 1980s this was considered an area of poverty, since many of these houses were, and in some cases still are, uninhabitable. The current local administration, however, has become more tourism-oriented, and it has promoted the regeneration of the Sassi with the aid of the European Union, the government, UNESCO. Today there are many thriving businesses, pubs, and hotels there, as described in an April 2015 article in The New Yorker . The "Sassi" grew in the area of Murgia Plateau, extended between Apulia and Basilicata. 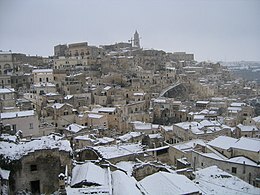 Along with the "Civita" and the "Piano", the two Sassi form Matera's Old Town. The Sassi are visually reminiscent of ancient sites in and around Jerusalem, and for this reason they have been used in many Christian-themed films, including The Gospel According to St. Matthew (Pier Paolo Pasolini, 1964), The Passion of the Christ (Mel Gibson, 2004), The Nativity Story (Catherine Hardwicke, 2006) and Ben-Hur (Timur Bekmambetov, 2016). They also appeared in Patty Jenkins's Wonder Woman (2017), serving as a location for the Amazons' city Themyscira. ^ "History of the Sassi". ^ nation. ), John Morris (author of The new (5 January 1880). "The new nation" – via Google Books. ^ "Matera's live nativity draws 30,000". ANSA. 6 January 2015. Retrieved 17 November 2016. ^ "Wonder Woman Island of Themyscira: Where was Wonder Woman filmed?". atlasofwonders.com. Retrieved 27 September 2017. 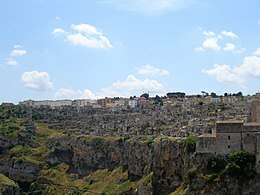 Wikimedia Commons has media related to Sassi di Matera. "Life is Beautiful - a travel music video"